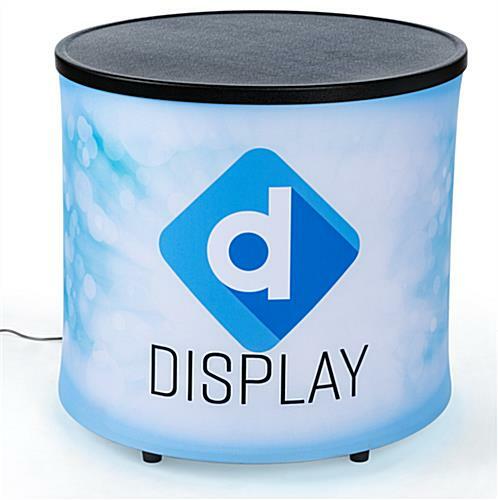 The small round backlit inflatable mini counter with tension fabric print is quick and convenient for trade shows and events. 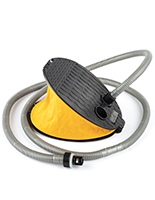 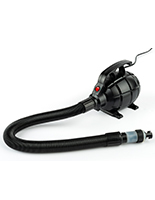 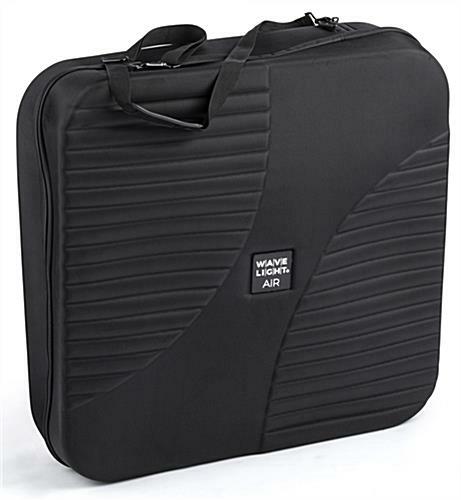 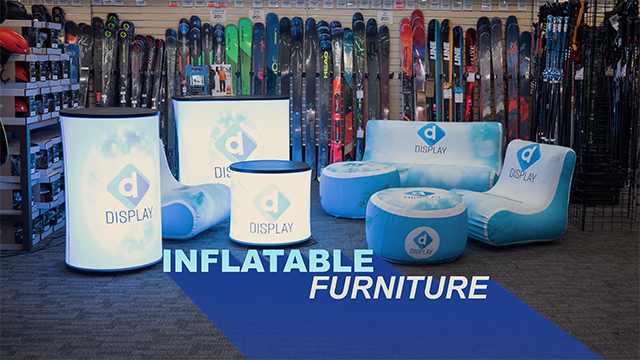 Go from flat-packed to fully inflated in under 15 seconds. 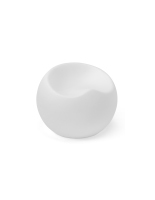 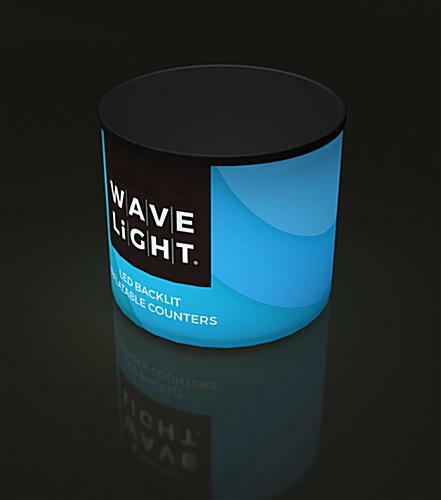 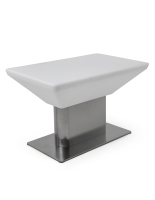 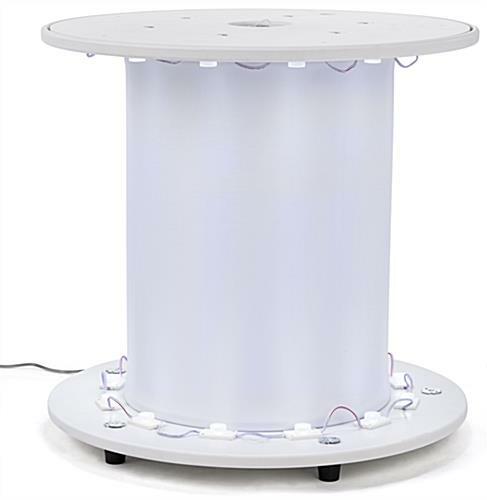 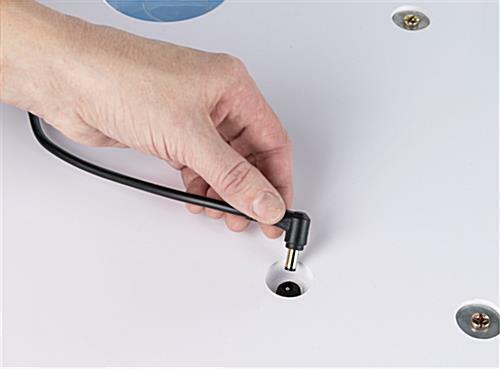 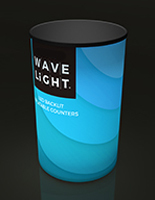 Use a portable WaveLight® Air round backlit inflatable mini counter as a side table or product demonstration surface. 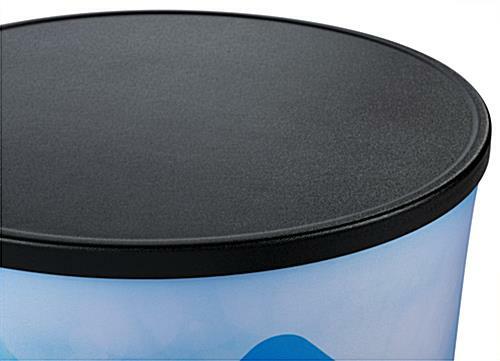 The black textured plastic top is sturdy enough to hold product samples, literature, or glassware. 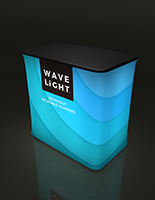 Interior LED lights make the SEG print pop with saturated color and crisp detail. 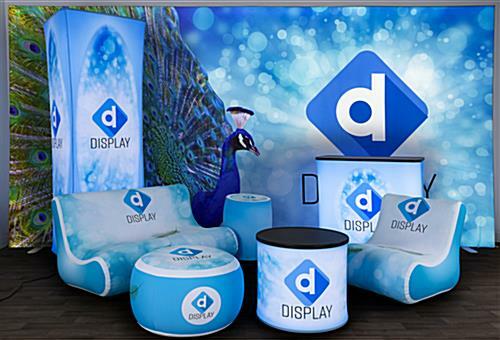 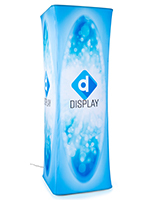 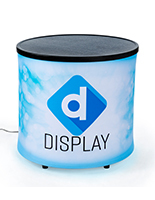 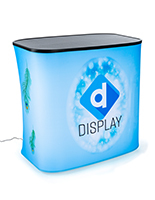 Use a backlit inflatable mini counter with wrap-around tension fabric graphic as a side table in trade show booths or retail stores as a small and versatile branded display. 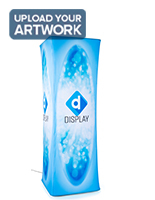 26.0" x 7.0" x 26.0"